Actor Shahid Kapoor rubbished reports stating he's been diagnosed with stomach cancer on Twitter. On Monday, the 37-year-old actor tweeted: "Guys I'm totally fine please don't believe random stuff." 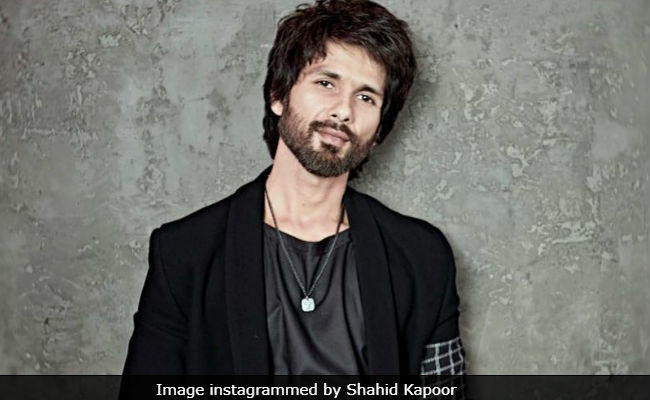 Reports of Shahid Kapoor battling stomach cancer trended over the weekend, when he was in New Delhi with his wife Mira Rajput and their children Misha and Zain (who was born in September this year). Shahid had shared (and later deleted) a picture of himself and Mira "soaking up the sun." Ashwin Varde, the co-producer of Shahid Kapoor's upcoming film Kabir Singh also told Bombay Times that Shahid Kapoor filmed some intense action sequences in Lonalvala before leaving for Delhi for a short break. As per Ashwin Varde, Shahid wrapped a four to five days schedule, during which he continuously filmed for 12-13 hours a day. "He will be back by December 10. He is fine," Ashwin Varde told Bombay Times. Guys I'm totally fine pl don't believe random stuff. Shahid Kapoor was last seen in Batti Gul Meter Chalu, which did not fare well at the box office. The film's critical reception was not good either. However, Kabir Singh may change the game for Shahid Kapoor. Kabir Singh is the remake of Telugu blockbuster Arjun Reddy, which featured Vijay Deverakonda in the lead role. Kabir Singh is directed by Sandeep Vanga, who also made Arjun Reddy. The film also stars Kiara Advani, with whom Shahid recently featured in the music video of Urvashi redux, produced by T-Series. Kabir Singh will hit the screens on June 21, 2019.